To complete the diverse demands and necessities of our privileged consumers, we are occupied in rendering Firm and Company Registration Service. Our experts complete this service in varied terms that meet on client’s demand. Available at nominal cost, this service can also be modified as per the customer’s demand. 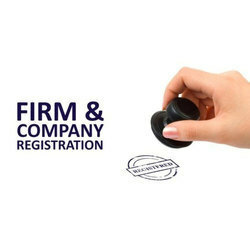 We are service provider of Company Registration Services. We provide the best services to our customers as the requirement of customers. It exihibits elements of both partnership and company. in LLP, one partner is not responsible or liable for another partner's misconduct or negligence unlike a traditional partnership in which each partner has joint several liability. Looking to the different structure of firms from proprietorship to the LLP we service everyone while keeping the client informed in every phase of its processing. Company Law Services - Formation and registration of companies.E-filings of documents with MCA. Compliance under Companies Act, 2013.
ii. Drafting and registration of Trust, Corporative societies, NGO, Partnership etc. Best, prompt and guaranteed partnership firm registration or partnership deed registration in Kerala. - As the name reveals, a public limited company has a wider coverage than a private limited company. - A minimum number of shareholders and directors are 7 and 3 respectively. There is no restriction on a maximum number of shareholders. (a) Governed by Indian Partnership Act 1932. (b) Minimum number of Partners 2. (c) Maximum number of Partners 10 in case of banking business and 20 for any other business. (e) Should have a deed of Partnership in writing with all the terms and condition. Company Law Matters Services: Companies are governed in India by Companies Act, 1956. Every company is required to register themselves. Founded by an enthused team of second generation attorneys who have had ample experience in litigation and corporate law practice with an impressive track record to boast about, VERITAE LEGAL provides premium legal services to a diversified range of clients in all branches of law.